In 2014 a group of Orthodox Christians met together and felt the need for a more traditional Orthodox Church on the Kitsap Peninsula, particularly one that would attract and involve more of the Russian heritage. We contacted St. Nicholas Russian Orthodox Cathedral in Seattle. Fr. Alexei Kotar met with us, and we discussed the possibilities open to us. First and foremost, we had to get the blessing of His Grace Bishop Theodosy. On June 22, 2014, about 20 people made the trip to St. Nicholas in Seattle, where we received Bishop Theodosius's blessing to start a new mission in Kitsap County. We began having services in Eugenie Osmun’s home while we looked for a more suitable location. The first Liturgy was on August 24, 2014. A building that had formerly been used as a church was available to lease. We had our first Liturgy there on September 28, 2014, and signed a lease 11 days later. Fr. 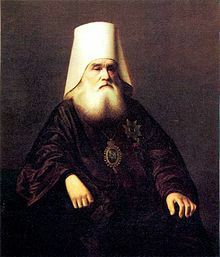 Alexei gave his blessing to name the new mission after St. Innocent of Moscow, Enlightener of Alaska and North America. The two readers of the mission, Reader Steven and Reader Arsenios ,had begun studying with the Pastoral School run by the Diocese of Chicago and Mid-America. For many months we had reader services with one or two Divine Liturgies each month celebrated by Fr. Alexei. Bishop Theodosy celebrated Paschal Liturgy on Bright Monday. Tatiana Alexeva Bakounina has directed the choir. Reader Arsenios designed a basic iconostasis, which was built with the help of three other parishioners. Eugenie Osmun had taught English, and was also in charge of the women studying to be choir directors, in the Seminary in Kursk when it was getting restarted after the fall of the Soviet Union in 1991. Many of her friends and former students, now priests, donated toward the beautification of our mission. Readers Steven and Arsenios continued their studies in the summer of 2015, attending the Summer School of Liturgical Music at Holy Trinity Monastery at Jordanville NY, where they both studied Liturgics and Slavonic. On Holy Thursday, April 28, 2016, Reader Steven was ordained to the Diaconate by Bishop Theodosy, and began to train at St. Nicholas every other week while leading the reader service on the alternate weeks. In the first week of July, the Kursk Root icon visited Seattle. While it was there, Fr. Dcn. Stephen was ordained to the Priesthood by Bishop Nicholas, with the permission of Archbishop Kyrill and Bishop Theodosy, and Reader Arsenios was ordained to the Diaconate by Bishop Theodosy. 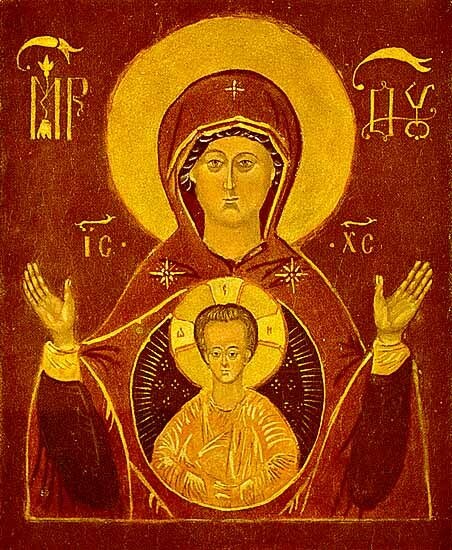 The Kursk Root Icon visited St. Innocent Russian Orthodox Church that week, and an Akathist to the Theotokos was celebrated. Beginning the next week, we have had Vigil and Divine Liturgy weekly at St. Innocent Russian Orthodox Church, as well as daily Vespersat least once a week.